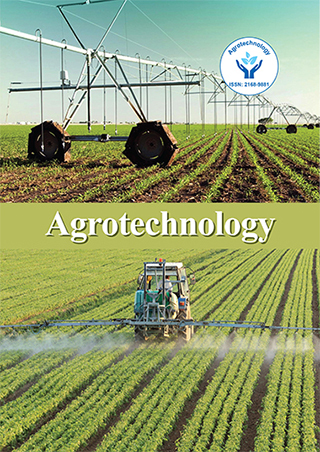 Agriculture occupies a prominent position in Indian policy-making not only because of its contribution to GDP but also because of the large proportion of the population that is dependent on the sector for its livelihood. The reforms of 1991, es - pecially the trade policy reforms and foreign exchange reforms perhaps for the first time aimed at correcting the anti agricultural bias in Indian policy making. Removal of quantitative restrictions (QRs) on imports and exports, decimalizations of agricultural commodities and deduction in tariff level, along with market determined exchange rate has inevitably shifted the term of trade in favor of agriculture. Measures taken to improve the functioning of commodity markets; to reduce excessive regulations; and to liberalize agricultural trade contribute to the improvement of the economic environment for private initiatives. Indian agricultural policy has long been characterized by border and domestic interventions aimed at protecting farmers from international price volatility. To achieve this goal the Government of India (GOI) has at various times implemented myriad policies including tariffs, quantitative import restrictions (QRs), import licensing, domestic marketing controls, and export restrictions. These controls have been implemented with a view toward the balance of domestic demand and supply, export potential, and the national balance-of-payment situation . There were sweeping reforms in exchange rate policies and a marked decline in industrial protection in 1991, but it was not until later in the decade that direct reforms began in agriculture. Agricultural reforms started at the border, with the opening up of rice exports in 1994. In comparison, the reforms in the arena of domestic policy have been slow. These reforms have been to a large extent a consequence of unilateral policy initiatives rather than the results of reduction commitments required under the WTO. The leading forecasting institutions expect that India will play a bigger role in world markets in future. In a number of markets it is expected to consolidate its position among the worlds leading importers (vegetable oils) and exporters (rice). Given the size of Indian agriculture, changes in its balance sheets for key commodities have a potentially large impact on world markets. It is clear that support for agriculture through policies in India has been countercyclical. Support for agriculture has been rising when world prices are low (as in the mid 1980s and 1998-2002) and falling when world prices are high (as in the early and mid 1990s).The various study results demonstrate the increased importance of budgetary payments for Input subsidies in agriculture in recent years. Elastic supply is a necessary but not sufficient condition to reap the benefits of liberalization. We have to become more quality conscious, improve a lot in packaging and marketing of agricultural products. All this will need stepping up capital formation in agriculture, which can be done only if profitability in this sector improves. And the best way to do this is accelerating the liberalization of agriculture, which will turn the term of trade in favor of agriculture. It will further raise profit - ability automatically. How India will develop and achieve the benefit o reform is still a big unknown, with the picture changing rapidly. Questions have arisen about Indias capacity to compete in global markets under the current farm structure and farm policy. As the service economy grows, the share of agriculture will diminish, which may also have implications for Indias stance on trade and agriculture policy in the future. He has work in planning commission as intern for Formulation of 12th five- year plan and emerging issues in agriculture sector under the guidance of Dr. Abhijit Sen and Dr. V. V. Sadamate.